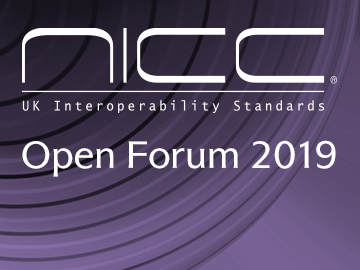 NICC Standards Limited is a technical forum for the UK communications sector that develops interoperability standards for public communications networks and services in the UK. It is an independent organisation owned and run by its members. It is now necessary to be a member to participate in NICC activities. Learn more about NICC membership. The NICC members’ site [login required] contains information about forthcoming meetings, working and draft documentation. NICC is a trade mark of NICC Standards Ltd. The NICC Open Forum and AGM 2019 will be held at One Great George Street, London on 27 November 2019. These and more current work areas are detailed here.